With reforms occurring to Workplace Health and Safety PCBU’s will want confidence that their ISO tank movements are compliant. 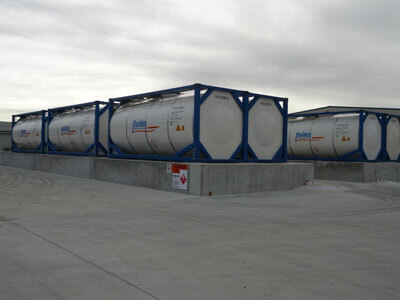 The transport and storage of DG ISO tanks in New Zealand is governed by various regulations and time frames. Fluidex Transport has an approved Hazardous Substances storage facility for Class 3.6.8 and 9 ISO tanks – at its Wiri Plant. In addition Fluidex has a fleet of Compliant DG skeletal trailers for the (complaint) transport of DG ISO tanks. HSNO certified with Hazardous Substances Location Certificate – for DG ISO tanks. Fully compliant transport operation with specialist DG trailer equipment – for all ISO tank and tanker pick up and delivery functions. Fully compliant Ministry of Primary Industries transitional facility. Fully secured site with long or short term storage available. Delivery when required by customer to destination. 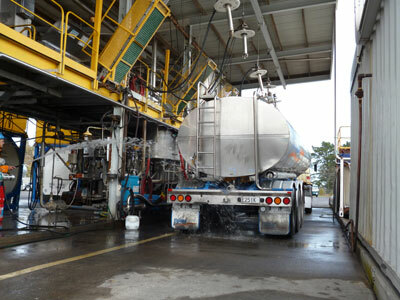 Processing facility for ISO tanks including washing, survey and repairs. This entry was posted in CBAFF on May 27, 2014 by Julie Davies.